John P. Cable built his grist mill in Cades Cover in the early 1870s. He was a descendent of Peter Cable, a Pennsylvania Dutch farmer who had arrived in the area in the 1820s and designed an elaborate system to drain the swampy lands located in the western part of the cove. 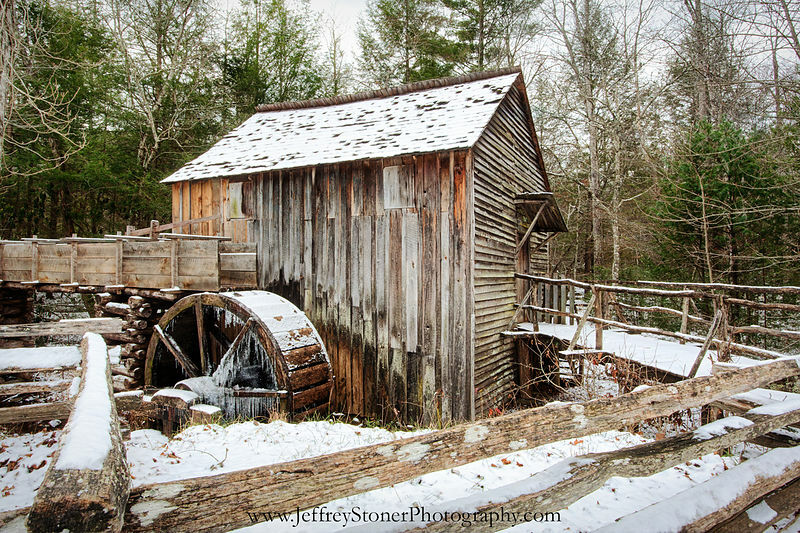 .John Cable was the only person in Cades Cove to use an overshot water wheel, a gravity wheel which harnesses the force of gravity acting vertically on the water as it travels from the top to the bottom of the wheel. Cable Mill's power was supplied by Mill Creek, although a connecting channel was dug to Forge Creek so the mill could tap both streams when water levels were low. .Cable Mill took double advantage of its waterwheel by using it to power saw mills as well. This revolutionized the way homes were built in the cove, as people switched from using logs to lumber and frame construction. 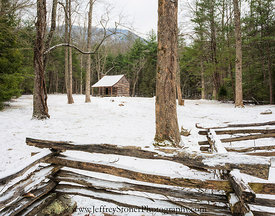 The Gregg Cable house still stands as an example of a frame built house in Cades Cove.